Our world doesn’t tolerate, uncertain, so well. Many want a right or wrong. A yes or no. And they want it immediately. Ha I say. Don’t let the world rush you. Honor uncertainty. It’s there for a reason. It can make you feel nervous and give you second thoughts. 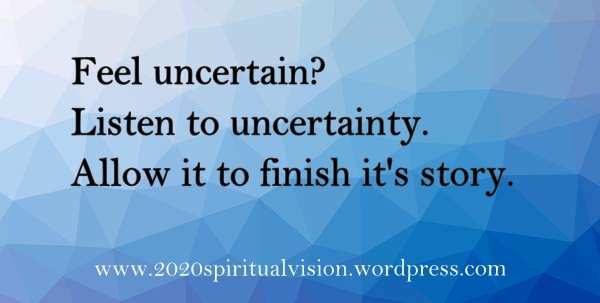 Instead think, what can uncertainty teach you in the moment? Take time. Don’t allow another to bully or rush you.